Lava Lanes Bend is a family owned bowling center, located in Bend, OR. Under new ownership since 2016, come see our bright, clean facility! Our mission is to provide a top quality bowling experience so that our bowling guests and their families will return again and again. 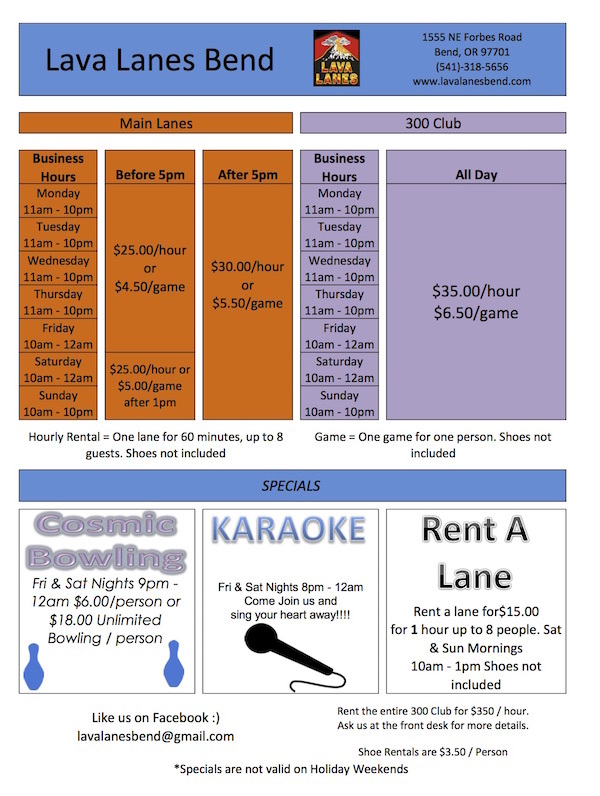 We provide birthday parties, group events, casual open bowling times, and competitive league play. Our 300 Club & Sports Bar is a great place for a meal and to catch all the sports action. Bowling is only the beginning at Lava Lanes! Open today 10am to 10pm!